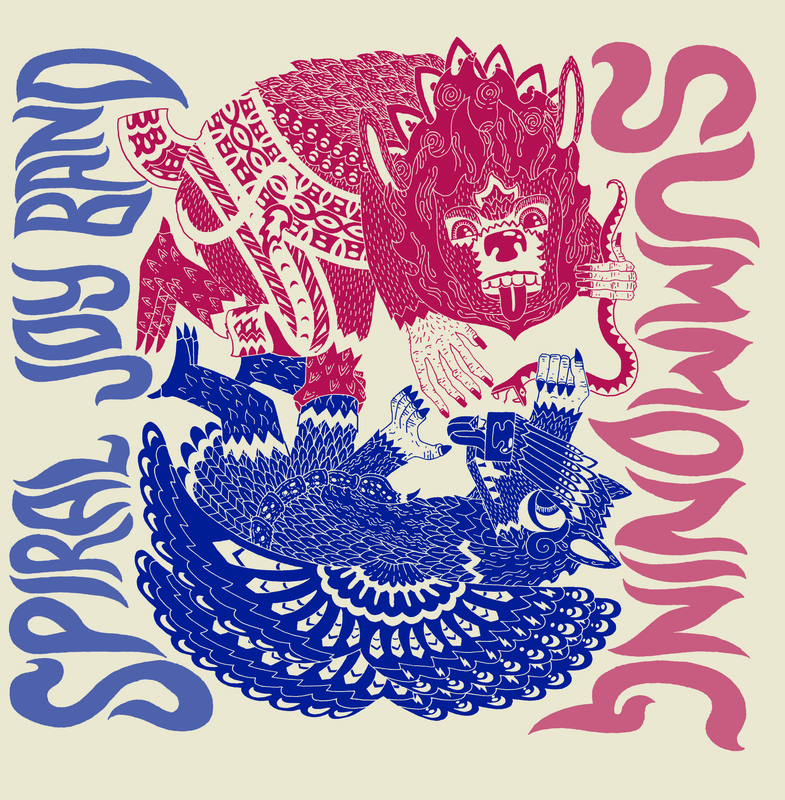 Spiral Joy Band spun from the orbit of drone-improv pioneers Pelt in 2004—initially as an incubator for that group’s burgeoning acoustic experiments, but eventually drifting into a thrum all their own. Their variable lineup is based around Mikel Dimmick, Patrick Best, and Troy Schafer, and their rough-hewn drones utilize a staggering variety of exotic gongs and instruments, both electric and acoustic. 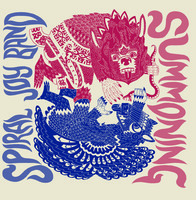 On Summoning, Spiral Joy Band enlists vocalist Dani Schafer. From the very first track “Lateral Waters, Languid Domes,” Summoning leaps away from the contemplative, avant-hillbilly ripples of SJB’s previous releases, and plunges directly into deep interstellar currents, tillered by an electric guitar that one could (almost) describe as “Heldon-like.” With the exception of the chaotic interlude of “Starlings in Deerwood” (which recalls the most explosive moments of electric-era Pelt), Summoning is built upon Dimmick’s monolithic harmonium and Dani Schafer’s full-throated vocals, which envelope and tie off the acid embroidery of Troy and Pat’s guitar, violin, and electronics. With Pelt seemingly unplugging their power strips for good, the wild electric howl and kosmische ragas of Summoning exuberantly herald humanity’s inevitable plunge into the heart of the sun. Comes with a d/l code and available digitally.